Laser treatment for scars on the face and body demands the delicate and artful use of our multiple-modality protocols. On a spectrum from successfully making a scar much less noticeable than before, to “I’ve even forgotten that I ever had a scar”, AMA has the expertise and tools necessary to transform your scars as far as is physiologically possible. 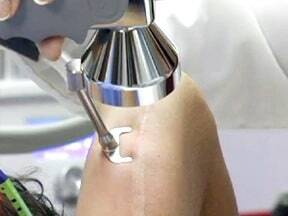 Watch the video : What is laser scar removal? At AMA Regenerative Medicine & Skincare, we understand how traumatic scars can be, especially those on the face and other areas of your body that you don’t want to conceal. 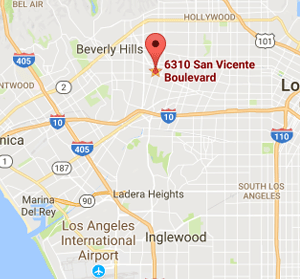 You may have tried a variety of ineffective scar removal treatments in vain that may have left you disillusioned and depressed. We understand the frustration that scars cause our patients. 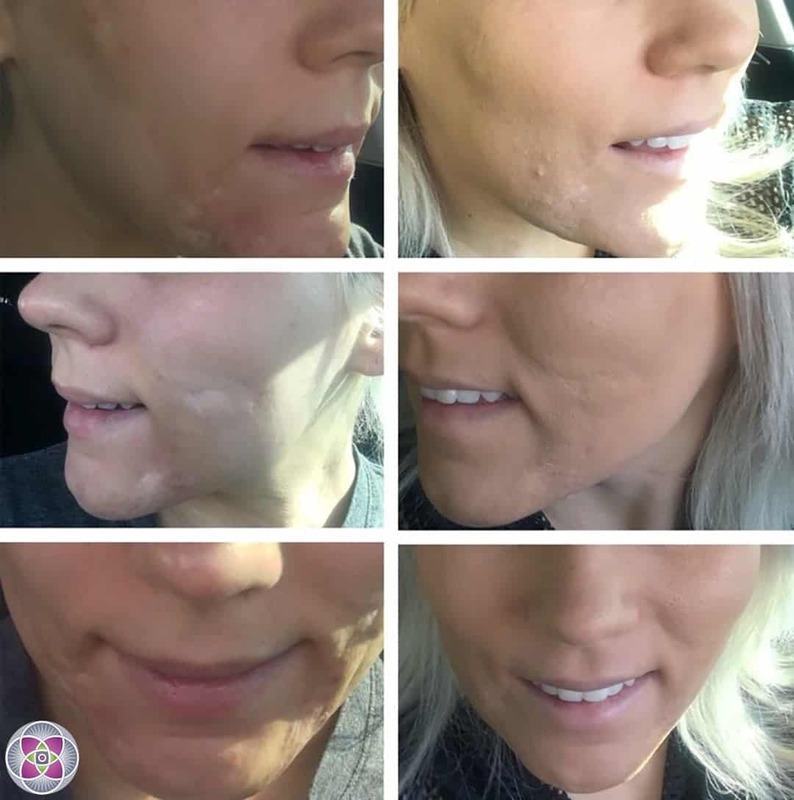 This is why we have developed a unique, multiple-modality approach to delicately and artfully remodel your scar, causing it to gradually blend in with the surrounding skin, giving our patients the dramatic results they are hoping for. It is important to understand that every scar is a unique anomaly. 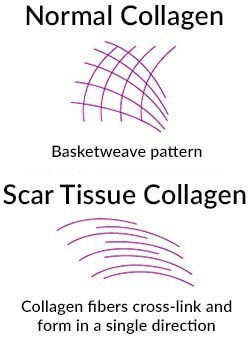 The collagen that makes up a scar will differ in its structure depending on how the damage was inflicted, (surgical scar, burn scar, stretch mark scar, acne scar, etc. ), when it was inflicted, as well as where on the body it occurred. After all, the skin on different parts of your body can be very different and therefore will scar differently. Even within a single scar the collagen structure might be very different. For instance a scar that extends from a joint where the skin is constantly moving and stretching, to an area away from the joint where the skin stays relatively immobile. Thus, each scar has its own unique structure that requires a unique set of energy settings and combinations necessary to “unlock its secret structural code” enabling us to effectively remodel its structure, minimizing it, smoothing it out, and blending it into the surrounding skin. Due to the fact that every scar is essentially an anomaly, making each scar different in composition and structure, all of our scar removal treatments are customized specifically for each patient. A typical scar removal treatment regimen consists of 5 to 7 laser treatment sessions combined with a combination of non-laser modalities such as Collagen Induction Therapy (CIT), Physiological Regulating Medicine (PRM), and Hyperbaric Oxygen Therapy (HBOT). B) The scars may contain an excess of vascularization that causes the scar to become purple, red or pink. C) The scars may be devoid of either A) or B) and may therefore be lighter than the surrounding skin. Depending on A, B, or C, a special series of treatments will blend the color to match the surrounding skin. Converts the scar collagen into healthy collagen. Shrinks the scar from side to side. Once the discoloration in the scar has been corrected, intense collagen treatments are carefully selected to stimulate, within the scar, the natural production of fresh, new collagen. This fills the scar with new healthy collagen. These treatments are designed to interact with collagen fibers deep beneath your skin. This accelerates the removal old, deteriorated collagen and causes less-damaged collagen to remodel itself through your body’s own physiological processes. Within 2 to 3 scar removal procedures the fibroblast cells that exist throughout the dermis are also stimulated to produce new, healthy, young collagen. Smoothing out the surface of the scar to blend with the surrounding skin is the final step of the laser scar removal treatment. 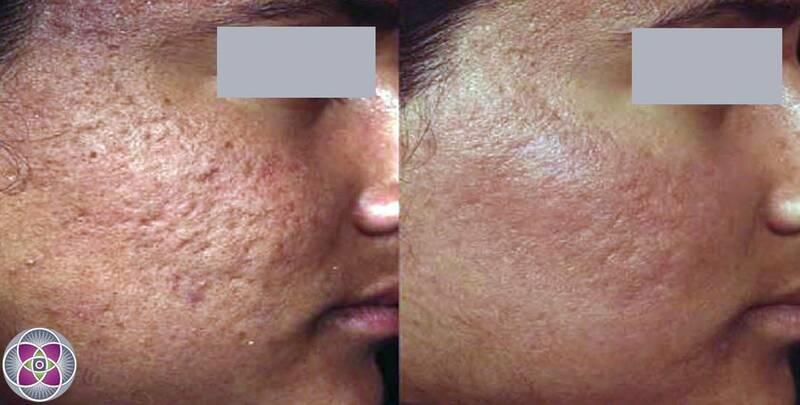 This is done with a “laser peel”, also known as an epidermal resurfacing laser. 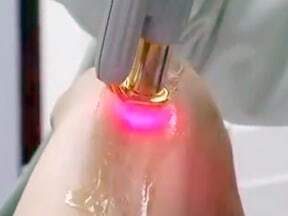 The epidermal resurfacing laser removes a predetermined section of the surface of the skin (the dead skin cells that make of the upper layer). This smooths the surface of the scar removing any roughness, imperfections, discoloration and fine wrinkles. When healing scars, here is the best way to think about it… Many different types of scars, created by many different types of events, on many different parts of the body, can be effectively treated with lasers. Usually, newer scars on a person do respond better and faster to treatment than older scars on that same person. However, between different people that same comparison can not be made. Some people with older scars will be more responsive to treatment than other people with younger scars. The ability to physiologically remodel scars depends on several factors. The cause of the scar. For instance, scars caused by burns can be significantly different the scars from other causes. This is why is is so important to customize a scar removal treatment protocol for each scar and for each patient. We treat and observe, modify and observe, in order to customize with our 25 different lasers the most effective scar removal protocol for every patient. Q. Can this laser treatment heal a scar from a dog bite? A. Dog bites are more common than one would think. We have treated many such scars at our clinics. There are several different modalities that can make a huge difference in the appearance of dog bite scars. To help the body remodel the scar tissue into healthy collagen we use ozone injections combined with “subcision”. To stimulate the regeneration of healthy skin we use various laser technologies. In cases where there is a lot of soft tissue loss, we stimulate the regeneration of healthy new tissue with the use of umbilical cord mesenchymal stem cells. 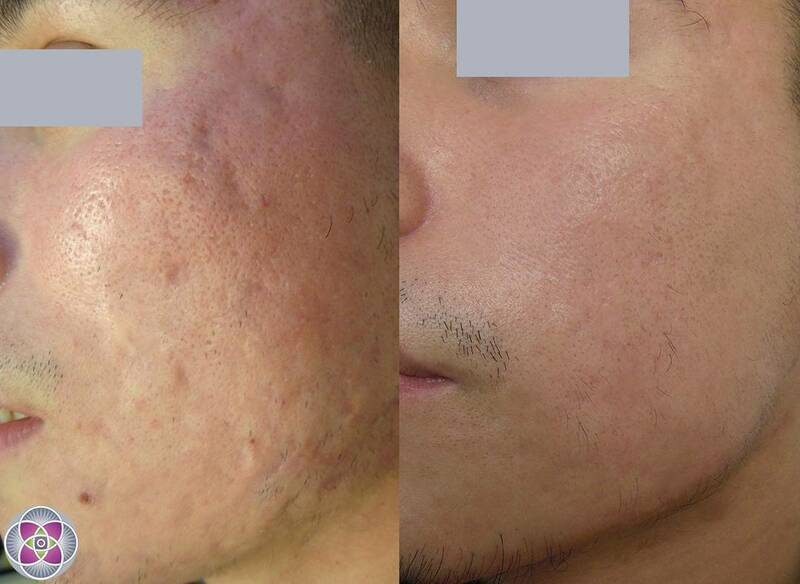 Using this type of multiple modality scar removal protocol can produce results that are absolutely spectacular. Q. Can cigarette burn scars be removed? A. Yes they can! We have had patients with multiple cigarette burns on various parts of their body that we have successfully treated. To clarify, the treatments do not “remove” the scars. The scars are healed and remodeled by the skin’s own regenerative capacity. Our laser scar removal protocols are designed to interact with your physiology and accelerate the natural regenerative process. That is why our scar removal protocols work so well. Q. Will this procedure work on a hyper-trophic scar from a rhinoplasty procedure? A. 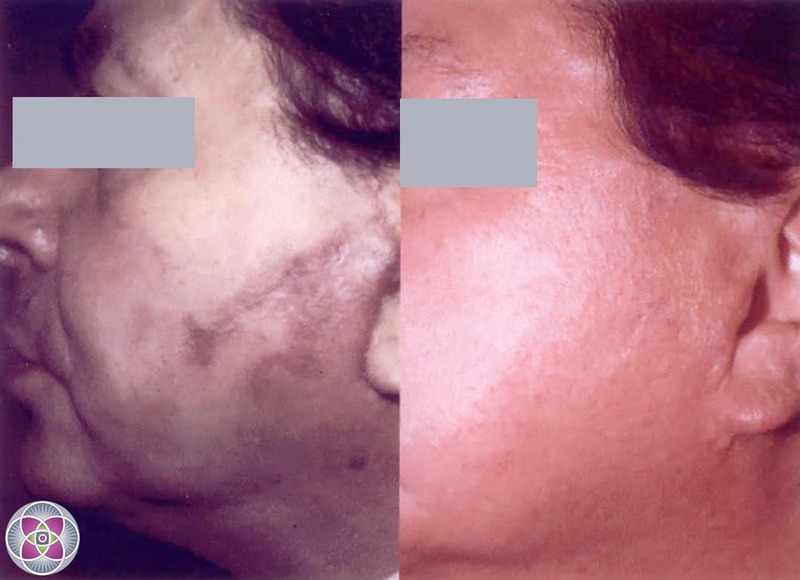 The development of keloided or hyper-trophic scars following a surgical procedure is very common. 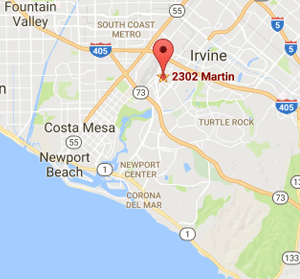 We have many patients that come to us after they have had surgery. Yes, this procedure will work for your scar! We will develop a laser scar removal protocol that is precisely customized for your scar and skin. Q. I have a scar on my lips from eczema. Will this laser scar treatment help? A. Not only are the lips functional marvels, needed for eating, speech, expression and of course kissing, they are the central focus of beauty on a person’s face. Wow! Yes! We can treat scars on the lips. The treatment is very gradual and gentle. Q. Does laser scar removal hurt? A. We make sure the skin is well anesthetized (we have various ways of ensuring this depending on the patient) prior to any laser treatment. This ensures that both during and after treatment the patient is comfortable.